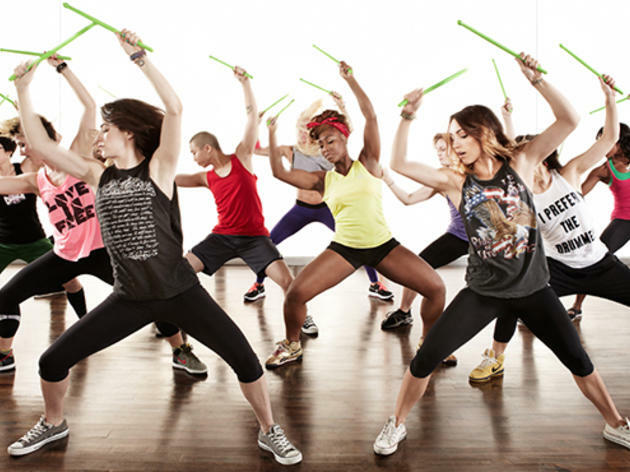 Fulfill your secret rock-star dreams with this intense cardio workout developed by two female drummers. 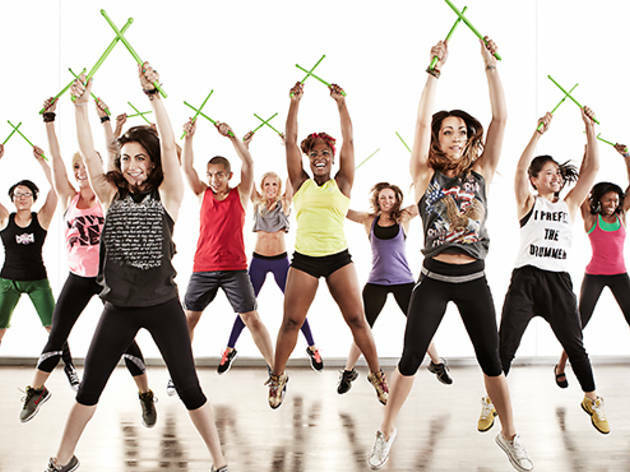 Like the very-fit spawn of band camp and boot camp, Pound classes lead you through a series of moves borrowed from aerobics and Pilates, all while drumming out various rhythms with a pair of neon green, quarter-pound drumsticks called Ripstix. Somehow, following the beat makes you forget that you’ve done a set of 20 lunges, and allows you to hold a core strengthener for that much longer. Kirsten Potenza and Cristina Peerenboom, the musician/fitness freaks behind this phenomena, say they first came up with the concept when they had to drum without a stool, which made them realize the workout benefits of holding a position while ripping out a beat. Though the classes are only held at the West Hollywood and Burbank Crunch Gyms right now, they’re worth the membership (or at least worth the hassle of signing up for the free first day pass). 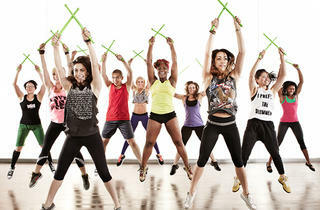 Check Pound's website for a full class schedule.